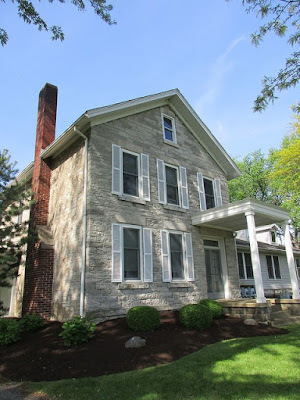 The old stone house at 1338 East Perkins Avenue has a very rich and interesting history. 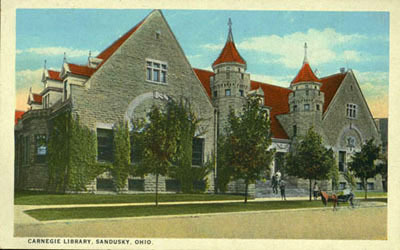 An undated paper in the historical files at the Sandusky Library Archives Research Center provides many details about this structure. In Sheila Gockstetter's paper, “The Stone House: Ever a Refuge,” the author explains that Aaron Whipple and his nephew Allen Remington designed and built this limestone home around the shell of a small log cabin that was near the site of the former settlement of African Americans known as Africa. For many months, the men dug out huge limestone blocks from the quarry in Perkins Township. 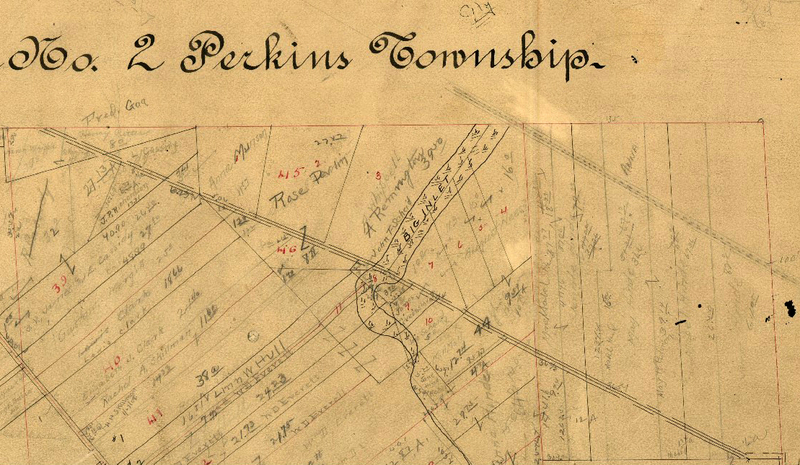 They used buggies and sleds, drawn by horses to transport the stones to the intersection of what is now East Perkins Avenue and Remington Avenue, on a plot of land that was twelve acres. By 1863, Allen Remington had purchased the land and stone house from his uncle. He brought his bride, the former Quintrilla Hand, to live at the stone house with him. You can see the name A. Remington on this portion of a historic map of Section 2 of Perkins Township, dated about 1900. Allen Remington was known for the excellent cider that he pressed in an outbuilding located east of the main stone house. Farmers from all around Erie County brought him apples, and he made the apples into cider and vinegar. Allen and Quintrilla Remington had seven children. 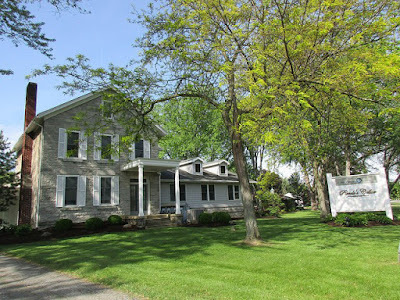 After Cora Belle Remington Anthony lost her husband, McDowell Anthony, at a young age, she moved back to the stone house as a widow with her two young children. Besides making cider at the stone house, Allen Remington had an interest in a line of fishing boats, along with Lorenzo Dow Anthony, Cora Belle’s father-in-law. It is believed that in the days of the Underground Railroad, Mr. Remington and Mr. Anthony harbored slaves in the fruit cellars of the stone house, and saw that they got transported to fishing boats headed to Canada in the darkness of the night. Allen Remington died in 1911. 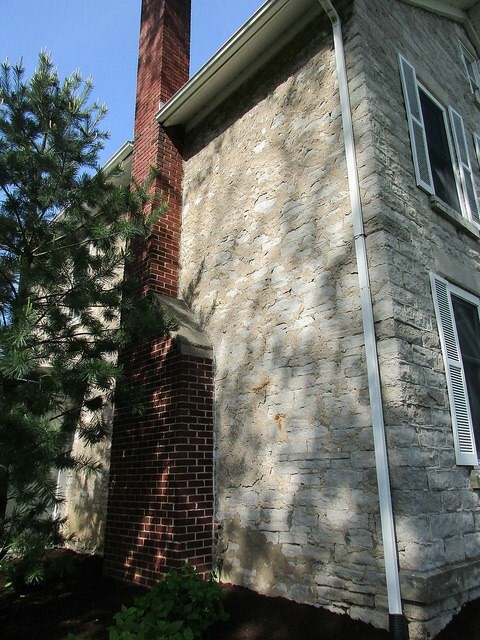 His son, named Allen Hand Remington, lived in the stone house with his wife and children after the death of his father. The younger Allen Remington passed away in 1944. From the late 1940s through the late 1980s, the Stone House became a popular restaurant with several different proprietors, including Frank Mulheran, Gil Rossman and Bud Linton. 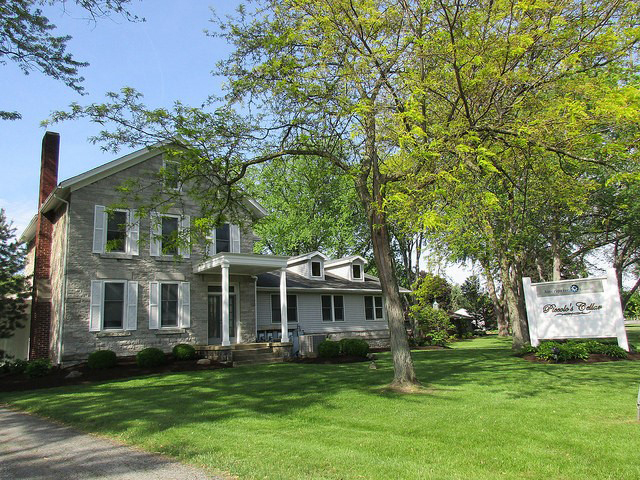 From 1977 through the 1980s, the Baxter family owned the Stone House. Since about 1990, the historic building at 1338 East Perkins Avenue has been commercial property, having been home to a variety of businesses. In the spring of 2017, a financial office, legal office and Piccolo’s Wine Cellar are all housed in the historic Stone House building.